Nikko Locastro is now Exclusively Innova??? Am I the only one who was a little shocked to see that Nikko Locastro is now a member of the Innova Star Team? He’s now an Innova guy??? (Here’s the link to Innova where they casually mention their new addition…) I knew he carried some Innova plastic: the TL, Firebird and the Xcaliber have all had significant time in his bag. Aside from these however, I never really thought he’d settle on one company. Nikko is known as a deadly hyzer putter, and I can’t remember him putting with anything except the Gateway putters; namely the Wizard. He also threw them for upshots, including for example, the upshot that sealed his win of the 2010 Vibram Open. A little hyzer-flip shot into the stone wall surrounded putting green. It was his confident, go-to upshot, and it was a Wizard. But now he can’t throw his Wizards? What about his Gateway Demon? The second run Discraft Buzzz? They’re all listed here in his Fall of 2010 “In the Bag” clip. With the talent level of Nikko Locastro, I’m not one to doubt him- he could probably carry a beat up bag of paper plates and still beat most of his peers. There must have been some concessions on the part of Innova to accommodate him. As a disclaimer, I have no direct contact with Innova or any of their sponsored players, so you shouldn’t take my words as truth. But I can’t help but consider what the breaking points of negotiation must have been. Nikko Locastro is a professional disc golfer staring at the best years of his athletic life. 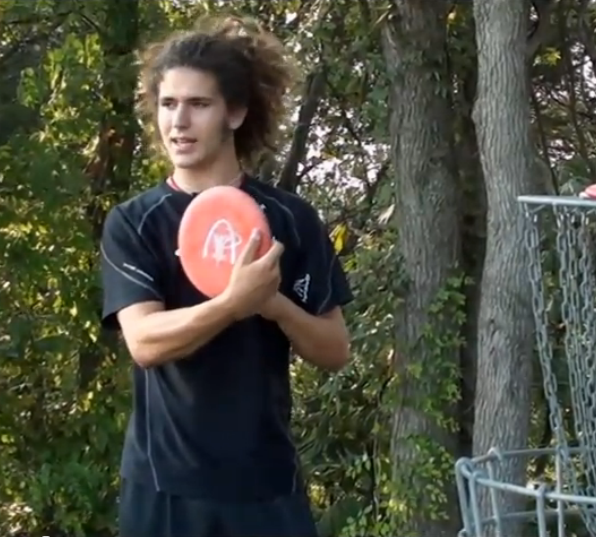 If there were ever going to be multiple years where he could take down multiple titles (Worlds or USDGC) this would be them. So why limit his disc selection now? One answer is pretty easy: money. Not necessarily in the “greed” sense of the word- these guys are touring pro’s who support themselves with disc golf- they aren’t rich. So we can let that one slide pretty easy… a man’s gotta eat! So what other reasons are there to suddenly settle down? Maybe (ridiculous conspiracy theory alert!!) Nikko is good enough for Innova to put some technology and money into. What do I mean? I mean, I heard from a friend, who knew a guy, who was the brother of a guy… and he says if you’re good enough, a disc manufacturer will literally take your favorite putter, take a mold of it, and produce a run of specifically made custom discs. So, in Nikko’s case, Innova would make a super small run of Innova’s version of the Wizard. I don’t know if I believe this- it’s certainly possible and feasible, but it’s also extremely unethical. Can you imagine playing disc golf for years, making your name with a certain brand and model of disc? And then suddenly signing off for a big “Uncle Money-Bucks” company to steal their design just to appease your personal preference? Just to help you win as part of THEIR team? Meanwhile your success is only because of a stolen idea? While I believe it could be done, I just think it’s so ridiculous and deceitful I won’t believe it. Personally, as a consumer, I don’t care which company anyone throws. I do get a cheap thrill when I see someone throwing the very same disc model (i.e. a Champ Banshee or a Z Glow Buzzz) because it’s literally the same disc I throw on my own home course; but it doesn’t matter to me that it says “Innova” or “Discraft.” Whenever I’m trying to explain the difference of Innova and Discraft to my friends who don’t follow disc golf, I have to compare them to Coke and Pepsi. They’re both very popular, but for slightly different reasons. Honestly, when you boil it all down, it’s not about the two big corporate names, it’s about the one name from St. Louis Missouri: Nikko Locastro. I’m just shocked Nikko put aside his Wizards. Did he really do it?? What is he putting with now? Is the world going to end? He just won the Gentlemens’ Club Challenge in Las Vegas… did he putt with a KC Pro Aviar? Or did he putt with a scientifically designed Innova Wizard hybrid that we all would consider buying if they released them tomorrow (provided they had bar stamps and a special blend of plastic)? ***A bit more insight offered through the “Disc Golf Guy” Terry Miller, Nikko reveals he’s been putting with an “old big-bead” and his bag is exclusively Innova in this YouTube clip/interview. This entry was posted in Touring Pros and tagged disc, discraft, golf, innova, locastro, nikko, sign, sponsor, star, team, tour. Bookmark the permalink. you can hardly find fault with a guy trying to make a living- Nikko mentions in the DG Guy’s YouTube interview wanting to stay in disc golf and buy a house! Dang! He’s now throwing a mixed brand bag of discs again! To my knowledge he threw the USDGC using Gateway and others- so he’s no longer strictly Innova sponsored! Hard to keep track! But if he plays better with his Wizards: more power to him.